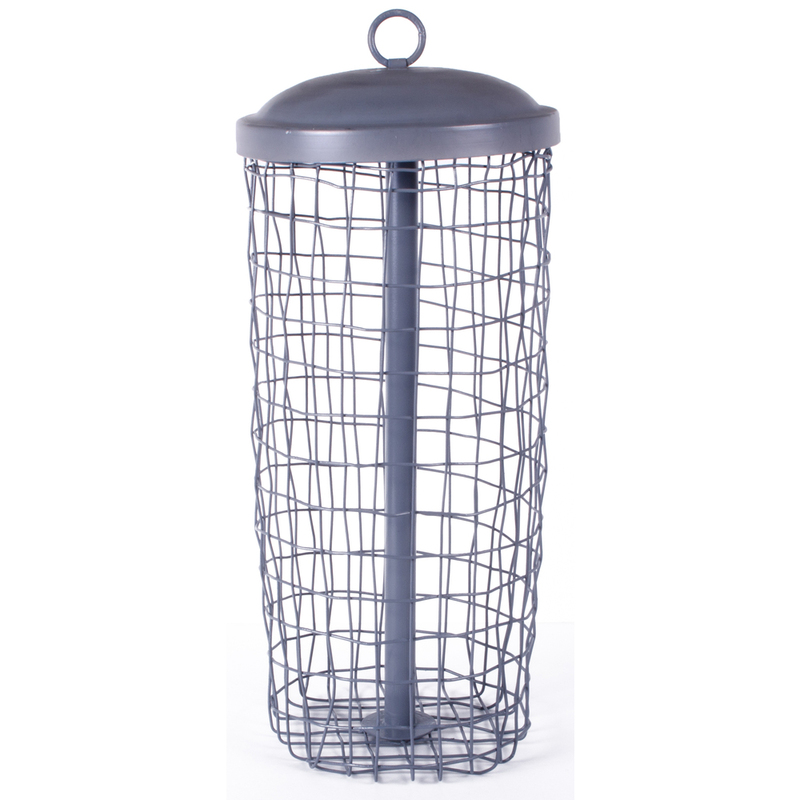 Our Gray Paper Towel Holder with Lid is made of Metal . Size is 7" X 7" X 12". 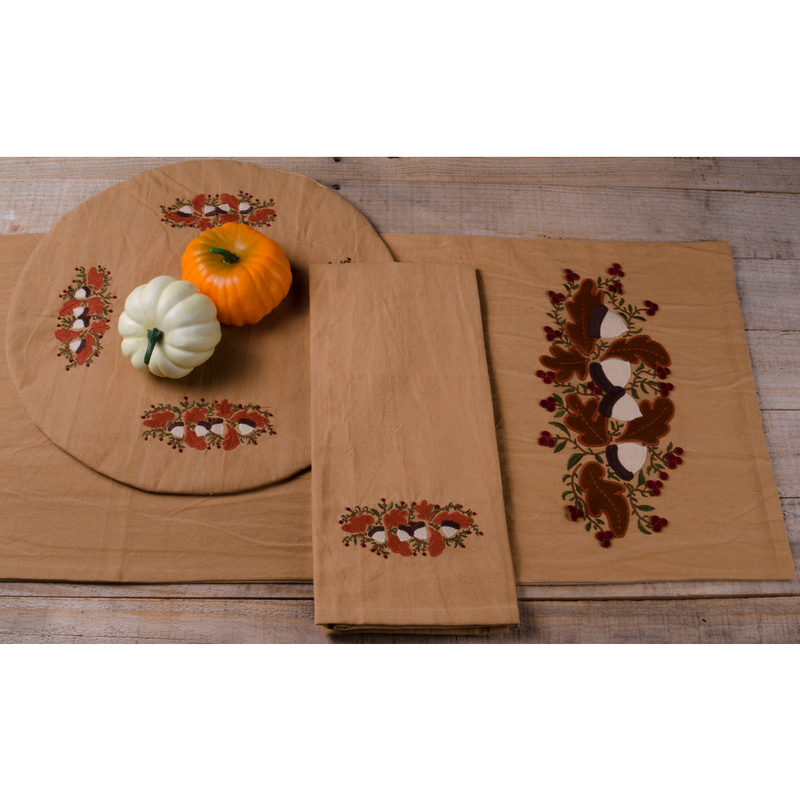 The Tea Dyed 1780 Pumpkins Table Runner is made of cotton. 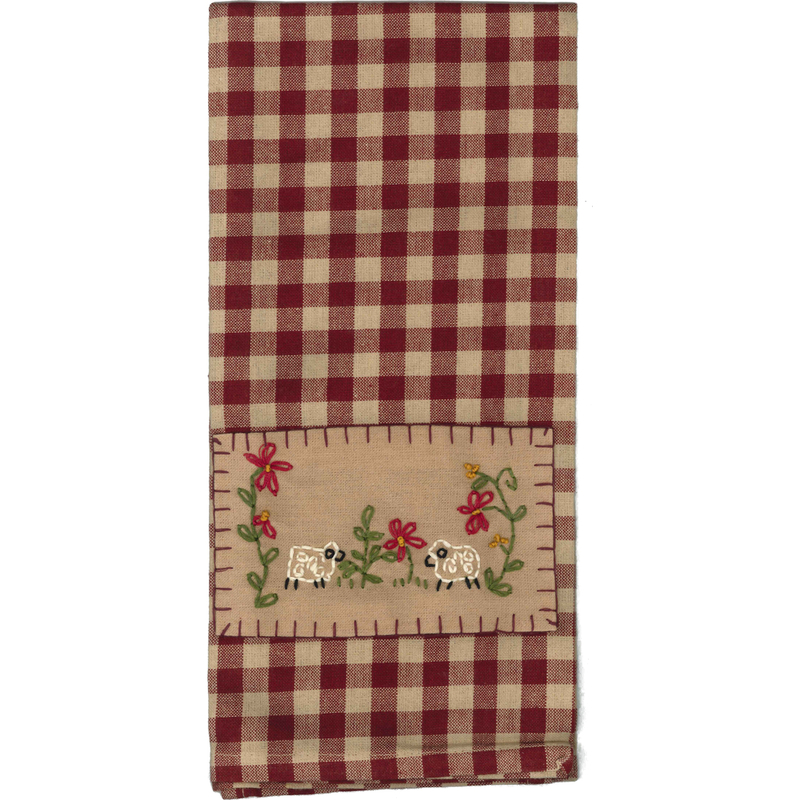 This is a 14" x 36" table runner that will give your style. 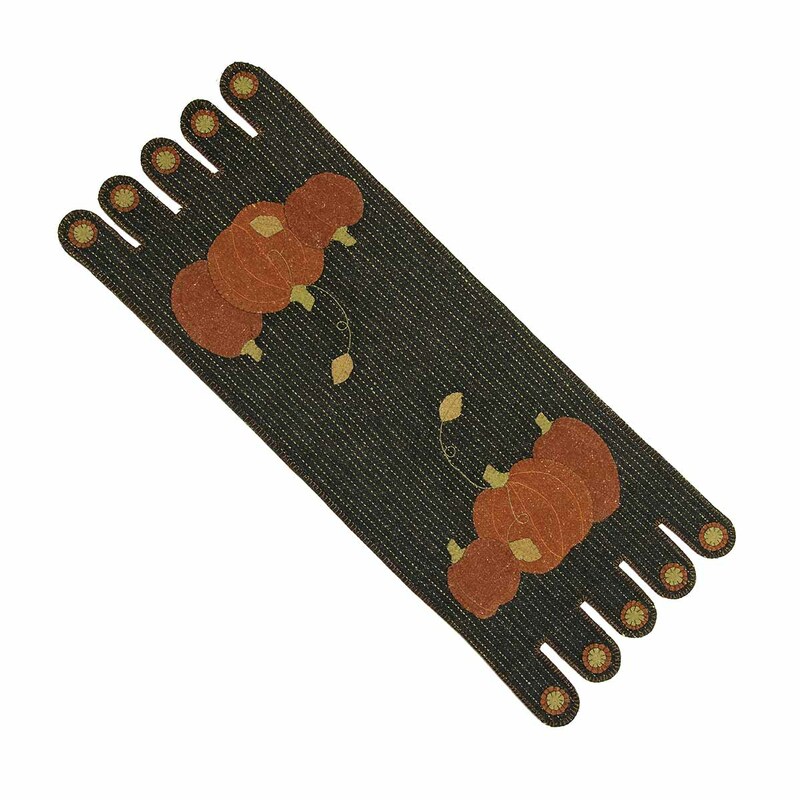 The Tea Dyed 1780 Pumpkins Towel is made of cotton with embroidery. This is a 18" x 28" towel. The unique design lends a distinctive touch. 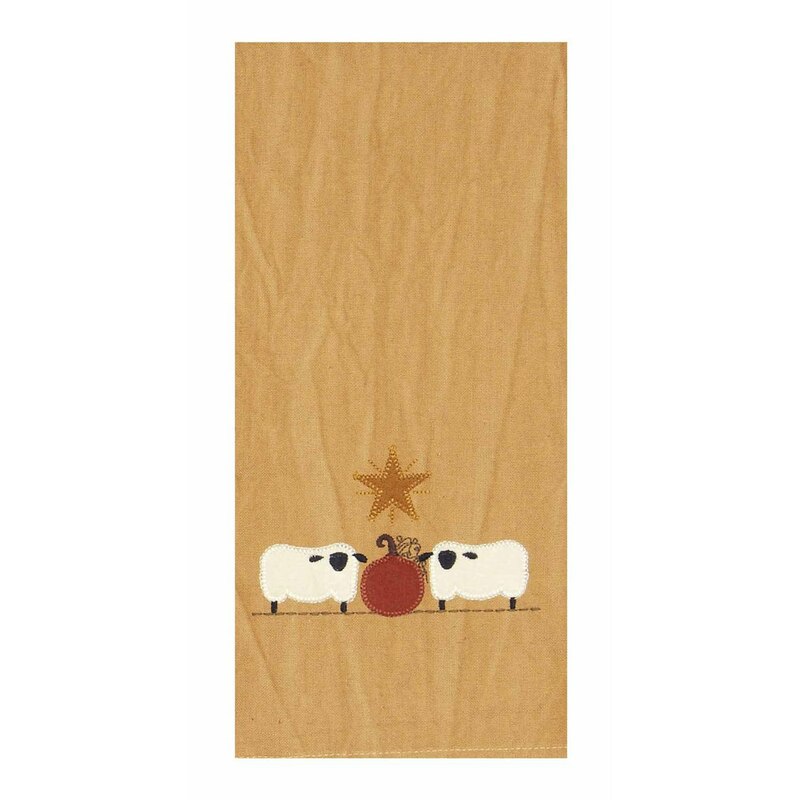 Our Barn Red 2 Sheep towel is made of cotton with embroidery. This is a 18" x 28" towel. The unique design lends a distinctive touch. 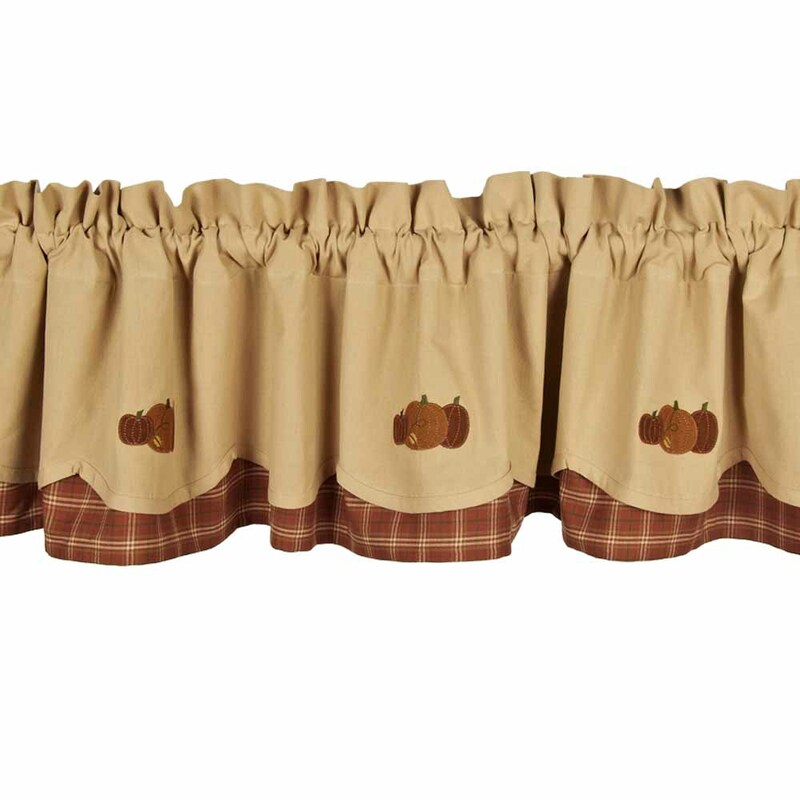 The 3 Fall Pumpkins Fairfield Valance is Nutmeg. 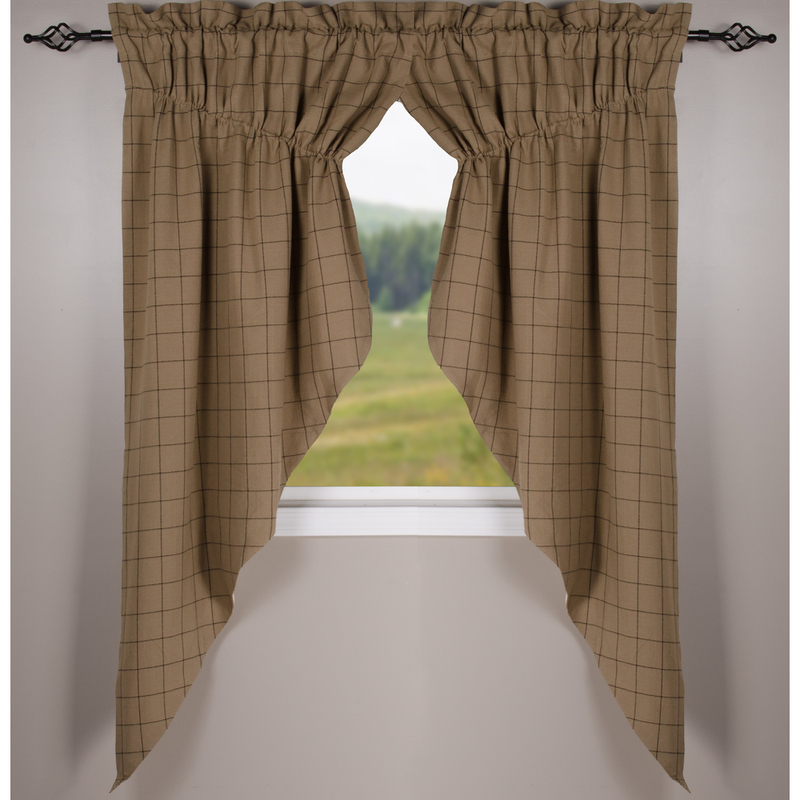 The valance is 72" x 15.5" and is made of cotton. 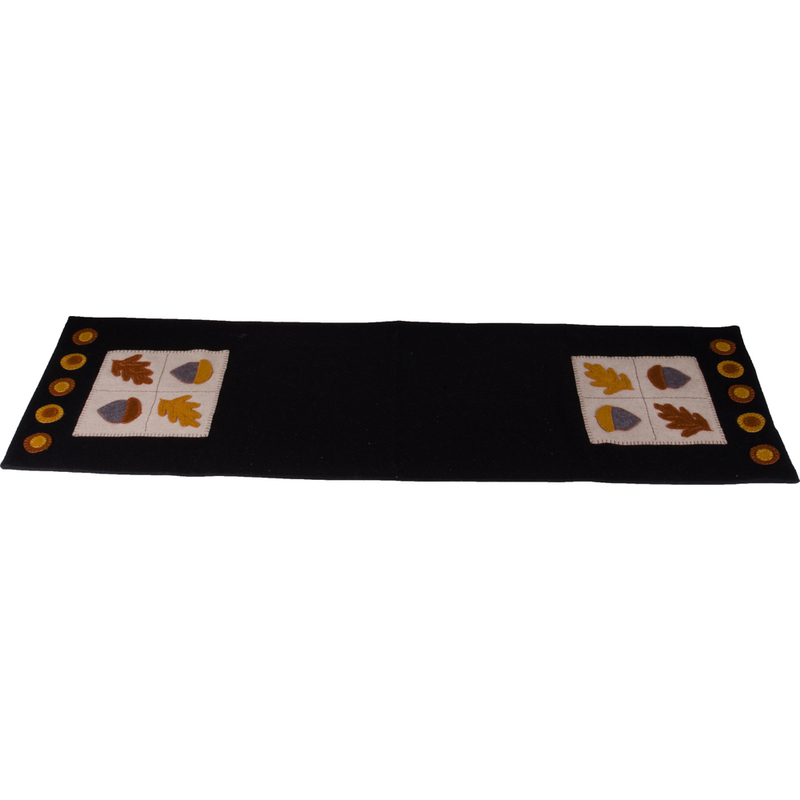 The Black 3 Fall Pumpkins Table Runner is made of cotton. 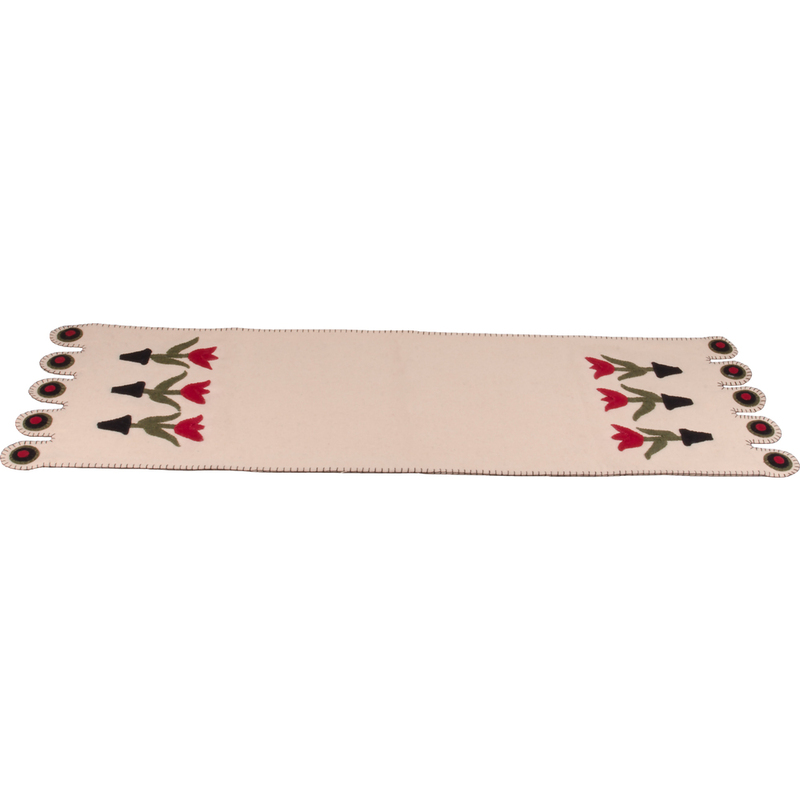 This is a 14" x 36" table runner that will give your style. 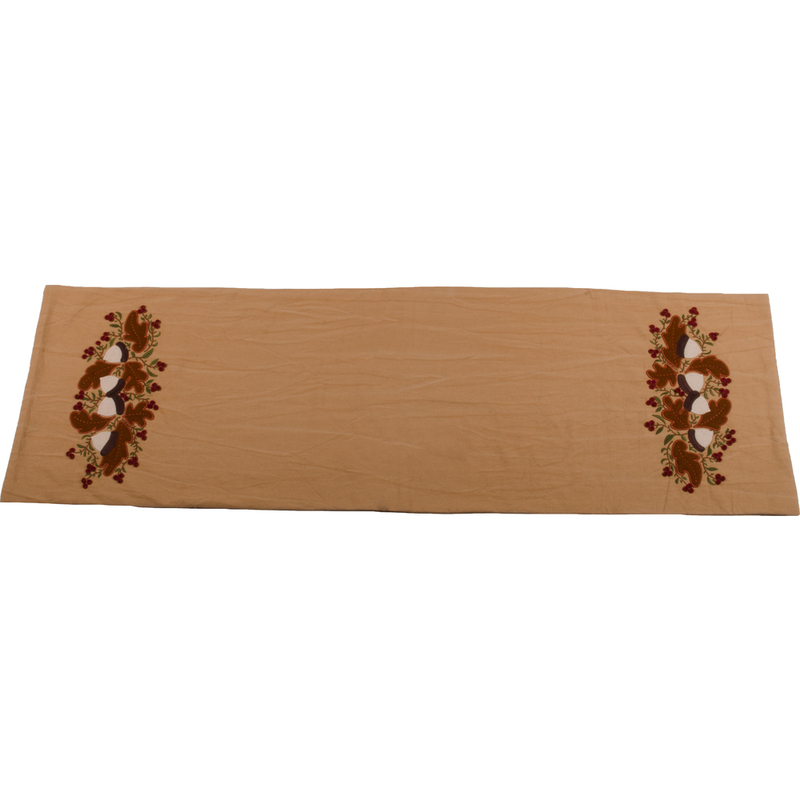 The Buttermilk 3 Flowers Table Runner is made of cotton. 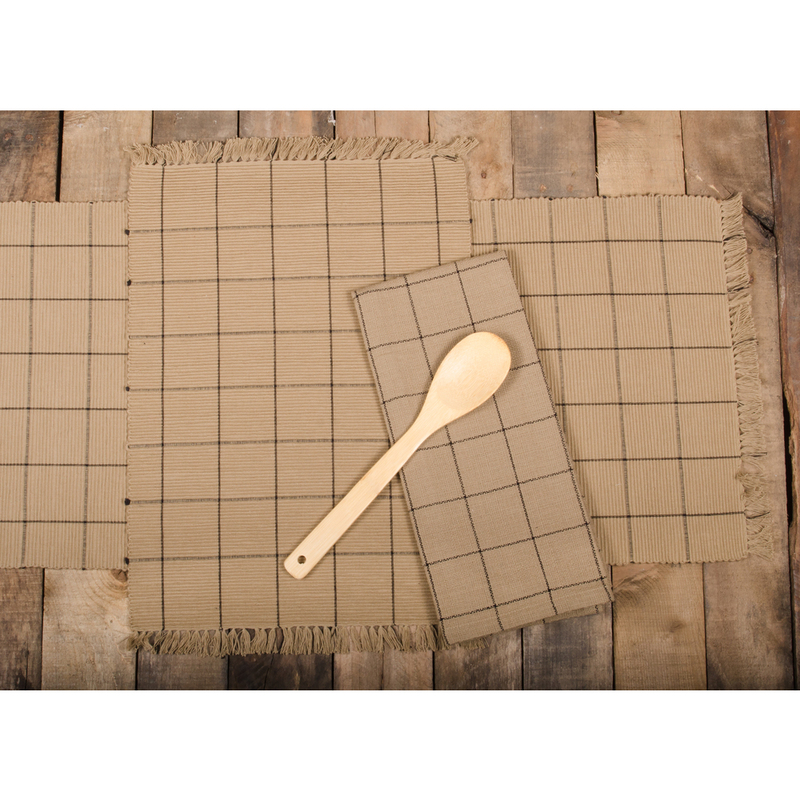 This is a 14" x 36" table runner that will give your style. 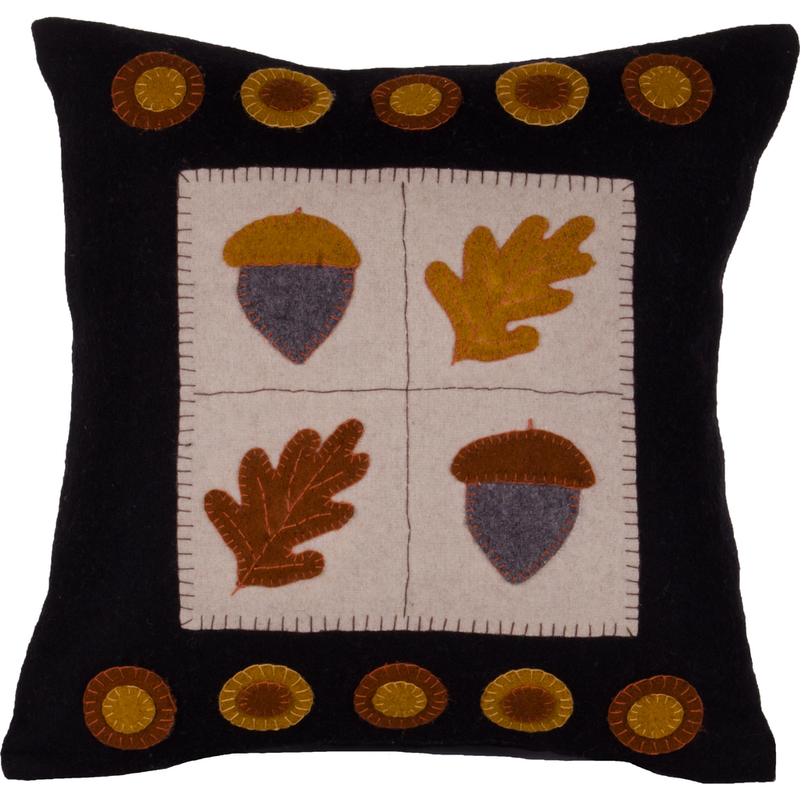 Our Black A Gift Pillow Cover is made of Wool-Felt and is 14" x 14". 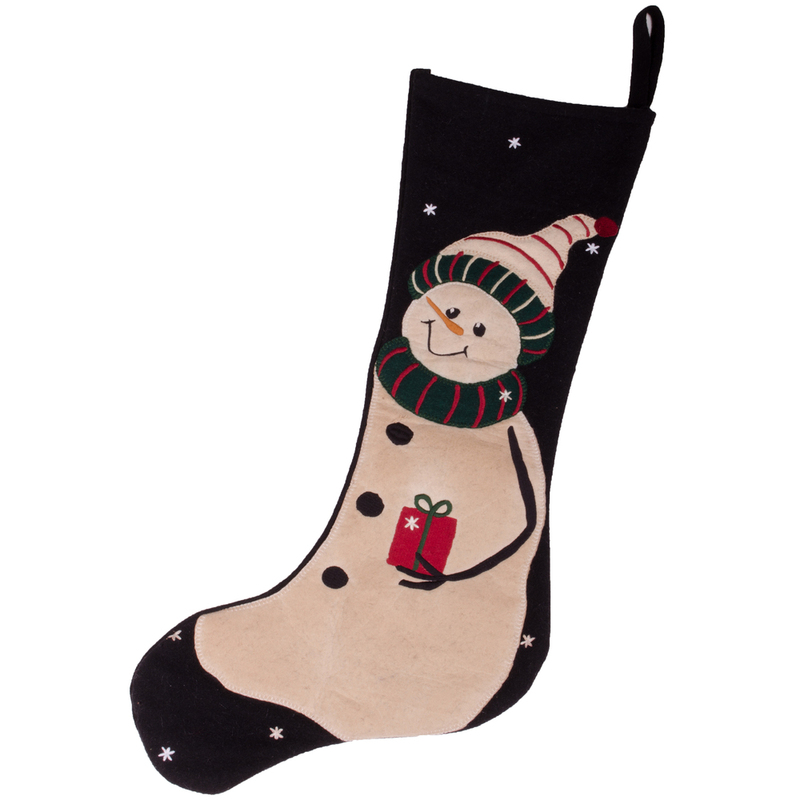 Our Black A Gift Stocking is made of Wool-Felt. 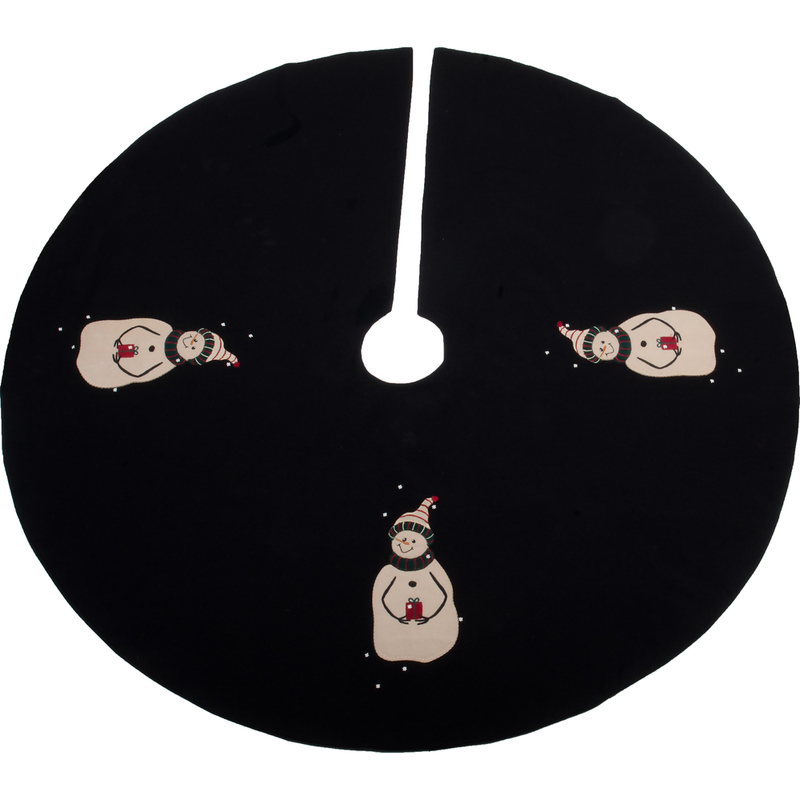 Size is 8" x 23". 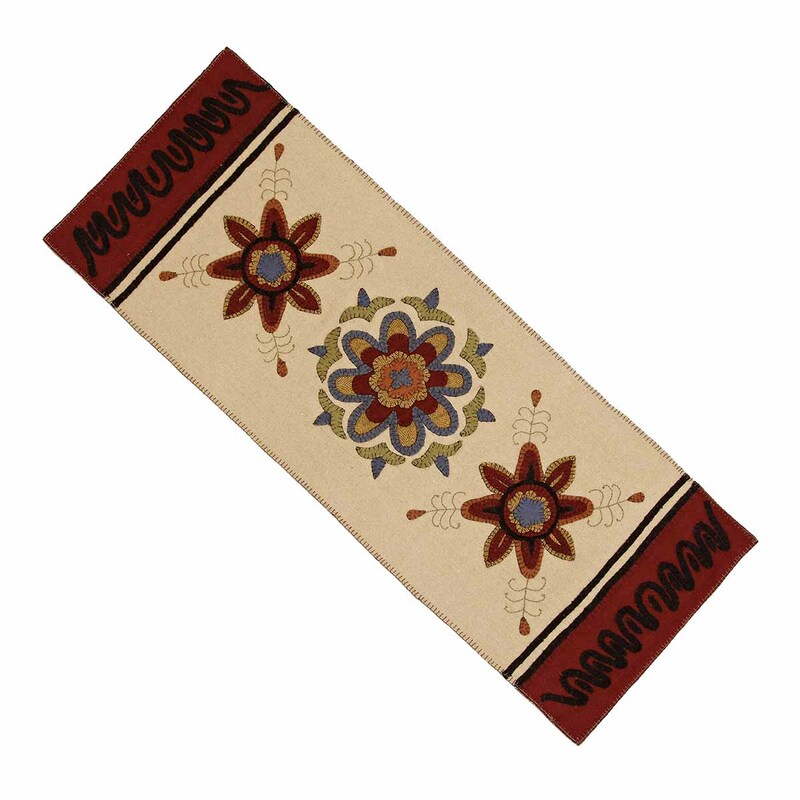 Our Black A Gift 36 Inch Table Runner. 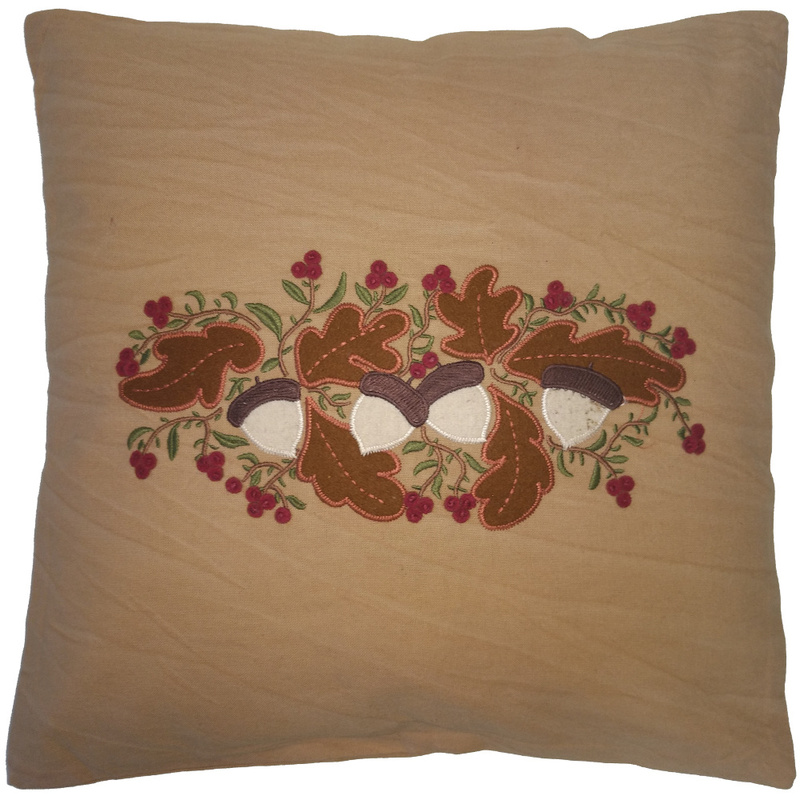 Size is 14 Inch x 36 Inch and is made of Wool-Felt. 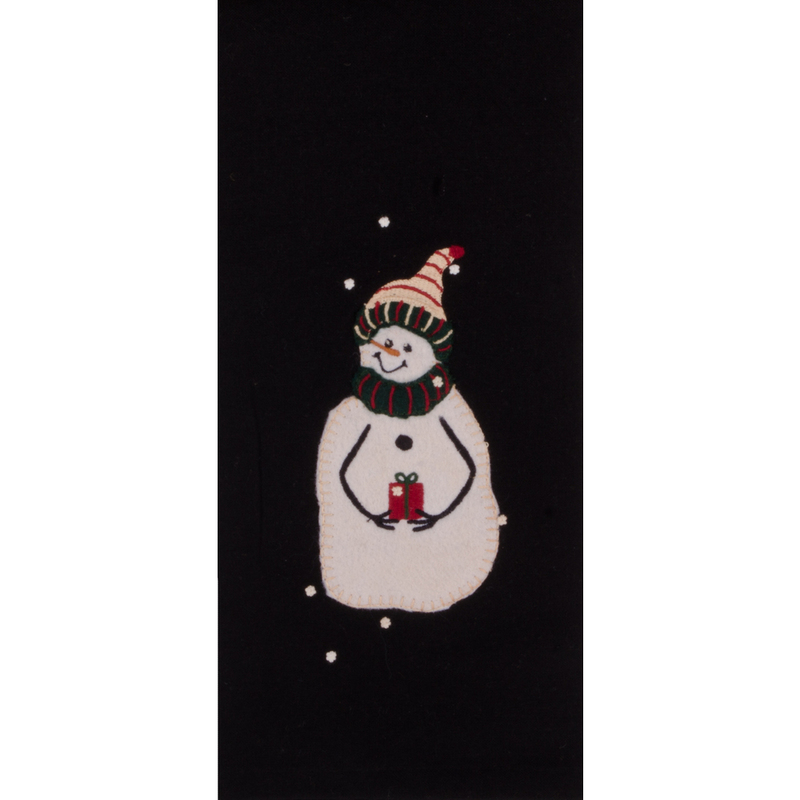 Our Black A Gift towel is made of cotton with an elegant design. 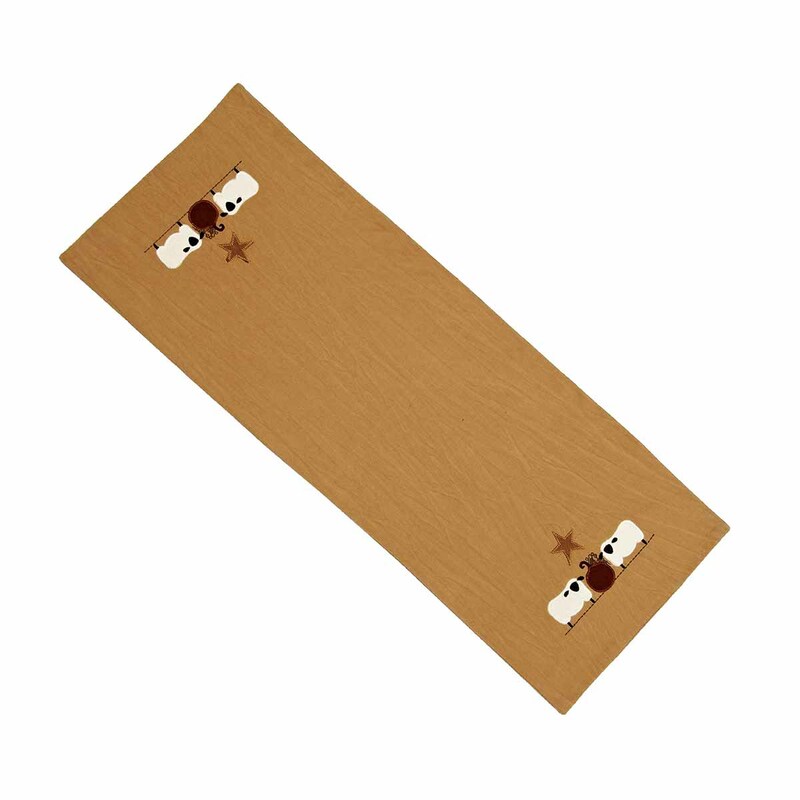 This is a 18 Inch x 28 Inch towel. The unique design lends a distinctive touch. 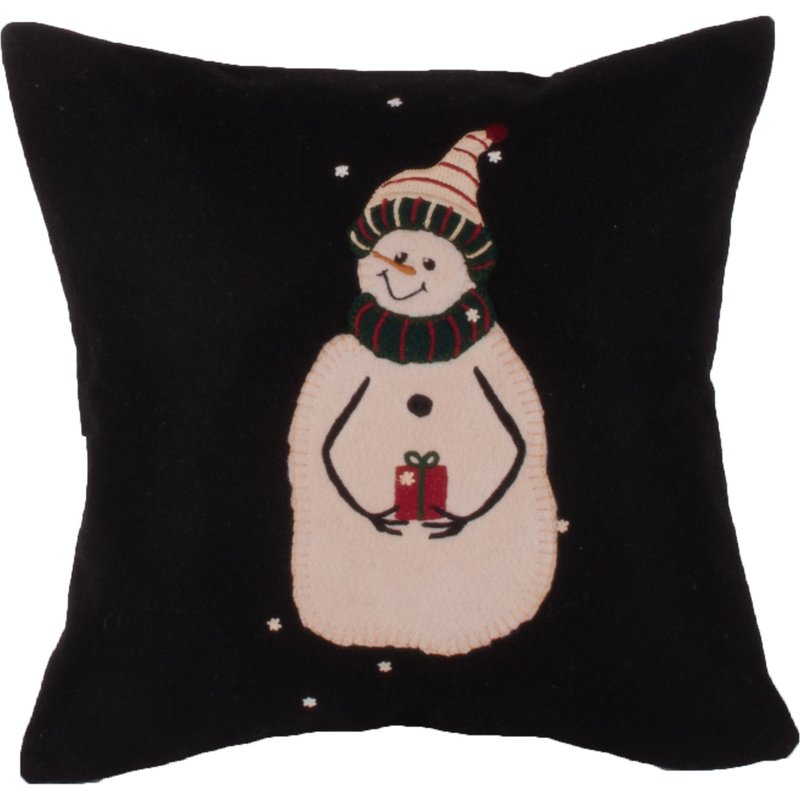 Our Black A Gift Tree Skirt is made of Wool-Felt . 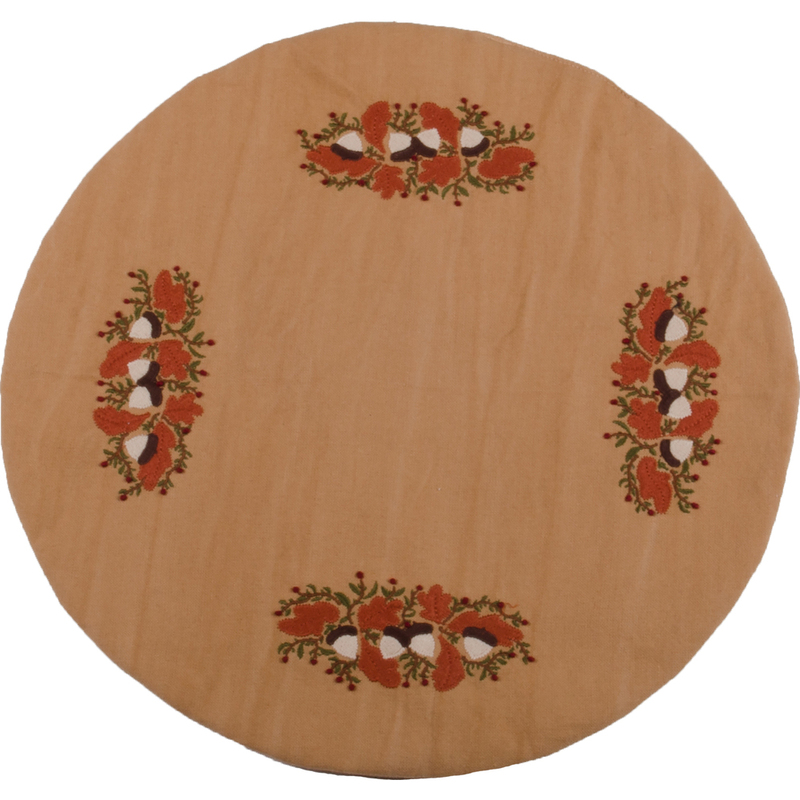 This is a 45" diam tree skirt that will enhance your holiday. Measuring at 18" x 28" and is embroidered with acorns, leaves and sunflowers. 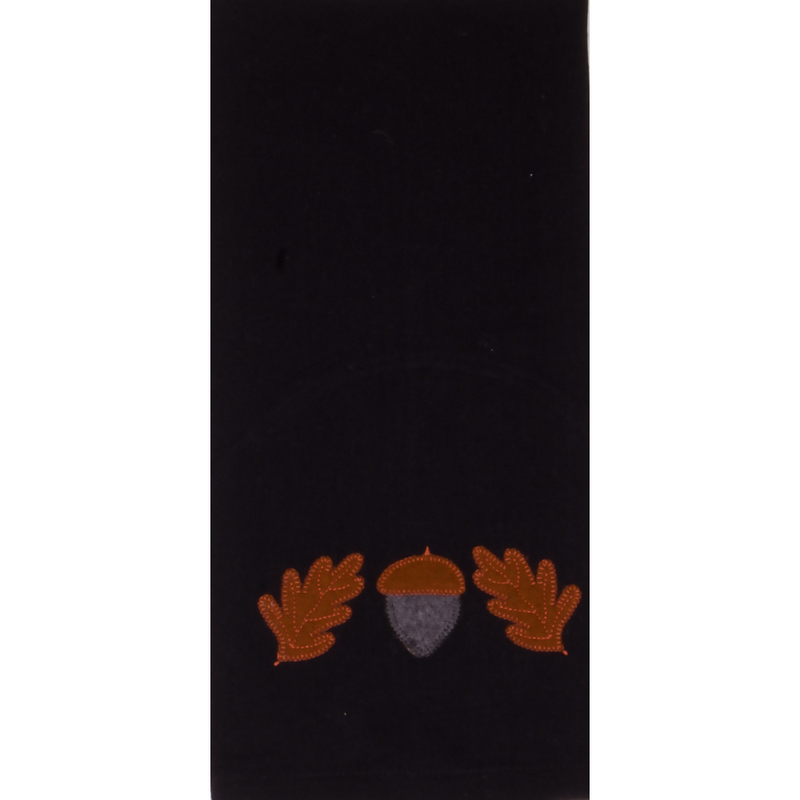 This black towel would add a nice touch to any of your fall decor. 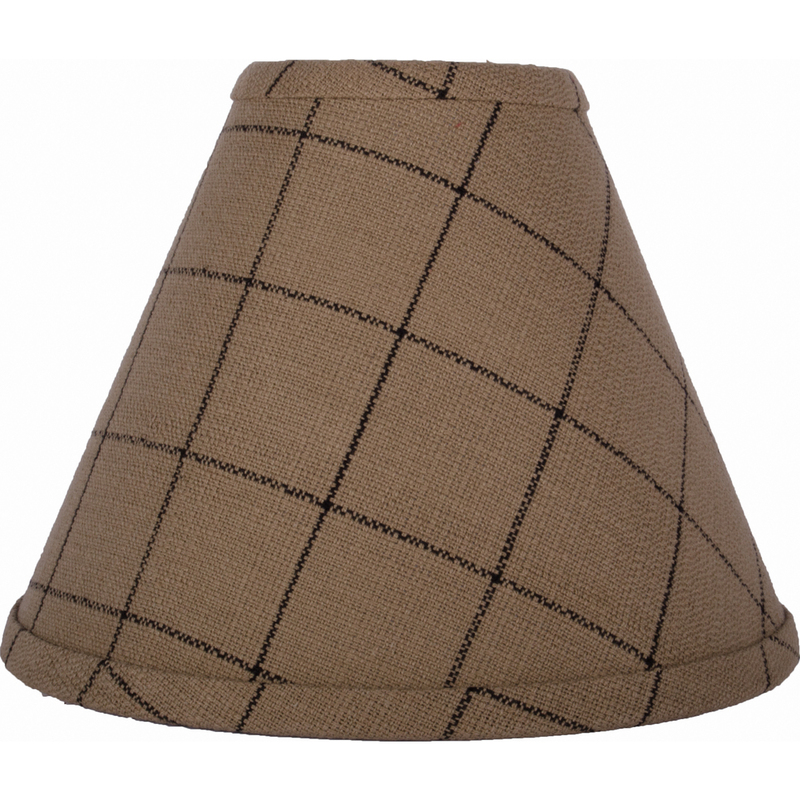 Our Oat - Black Alexander Check 45" Table Runner is made of Cotton Size is 14" x 45"